NSU leaders claimed that Nain Singh Mahar's resignation has paved the way for the formation of an ad hoc committee to conduct the general convention and election. KATHMANDU, Feb 11: Nain Singh Mahar, the president of Nepal Students Union (NSU), the student wing of the main opposition party Nepali Congress (NC) resigned from his position on Monday, paving the way for the formation of an ad hoc committee for the conduction of the student body's long overdue general convention. 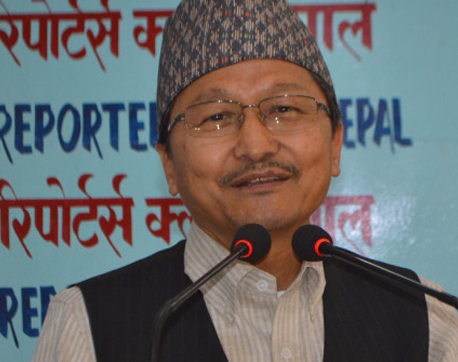 Speaking at a press conference organized by the NC on Monday, Mahar claimed that he resigned due to the indecision on the part of the mother party about holding election of the student body and divisions in the party. 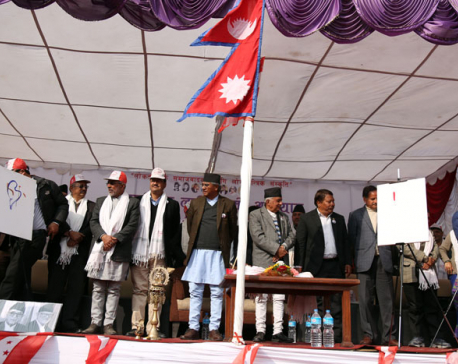 Mahar submitted his resignation to NC President Sher Bahadur Deuba on Monday and the resignation was accepted by a meeting of the party's central working committee. Mahar was elected the president of the NSU for a two-year term on August 18, 2016 but he has already served in the capacity for more than two and a half years in lack of periodic election. A five-month extension of his term expired last month. Even though the NC central committee held rounds of discussions over the fate of the NSU, leaders remained divided over whether to form an ad hoc committee or extend the term of the existing working committee led by Mahar. NSU's general convention and election were due in August. NSU leaders claimed that the resignation has paved the way for the formation of an ad hoc committee to conduct the general convention and election. Spokesperson of the NSU, Prem Joshi called the resignation an obvious move.